F.F.I. Holdings has delivered a net profit after tax of $2.3 million from sales revenue of $34.4 million. Both revenue and profit were up 4% with the result assisted by a 3% increase in property rental income of $1 million. In June, F.F.I. provided net profit guidance which pointed to an 8% year-on-year increase in profit, and while it has missed the mark there isn’t a lot in it and it hasn’t impacted the dividend. The company also indicated that the issues which placed a drag on earnings towards the end of the year weren’t expected to weigh on the company’s fiscal 2019 performance. Management declared a final dividend of 10 cents per share, bringing the full year dividend to 20 cents. Based on the company’s recent trading range this implies a yield of circa 5%. F.F.I. achieved a pre-tax contribution from the food operations of $3.09 million. Excluding a payment of $134,000 in relation to the Orchard Icing business which was acquired in June 2017, the contribution from the food operations improved by 8.7% when compared with the previous corresponding year. As a backdrop, the company is a Western Australian based food group with manufacturing, processing and packing operations covering areas such as cakes, confectionery, baking products and small goods. Its ‘Prepact’ business engages in contract packing and blending of foods. In addition to the food operations, the company has a significant investment in prime industrial and commercial property which is held for investment purposes. Those considering this stock shouldn’t make assumptions regarding future sales, nor should they base investment decisions on performances to date. Those considering this stock should seek independent financial advice. 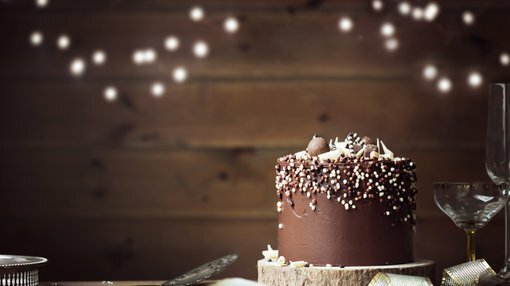 An improvement in profitability in the second half of the year was mainly attributed to the chocolate and cake decorating divisions. The record high raw material costs incurred in the last half of the year ended 30 June 2017 continued to decline during fiscal 2018. This resulted in improved gross profit margins in fiscal 2018, a trend which is expected to continue in fiscal 2019. Pre-tax contribution to profits from rental income was $860,000, a 3.6% increase compared with the previous year. F.F.I.’s strategy is to pursue opportunities to increase long term returns from its investment property assets. During the year the company entered into a Memorandum of Understanding regarding the development and lease of an area of the vacant industrial land that forms part of its investment property assets. Under the terms of the agreement, the company is required to effect certain improvements to the vacant industrial land. The improvements consist of an office/factory building and a hard standing area. The capital cost of development is expected to be approximately $3.0 million and will be funded from a combination of cash and external bank borrowings. The commencing lease income to be received by the company will be $500,000 per annum and will be for an initial period of 10 years.